X is the 1 more than the number of allies controlled by the first player. 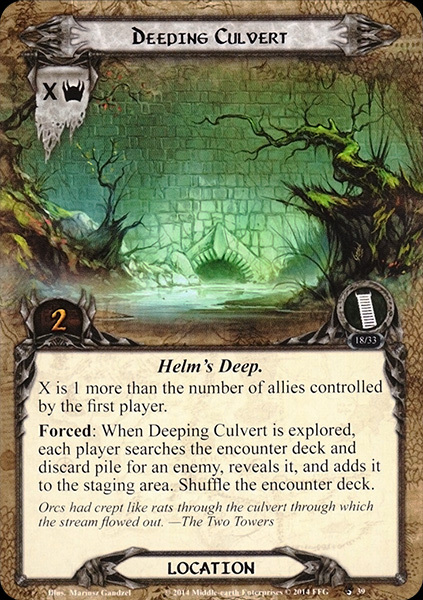 Forced: When Deeping Culvert is explored, each player searches the encounter deck and discard pile for an enemy, reveals it, and adds it to the staging area. Shuffle the encounter deck.